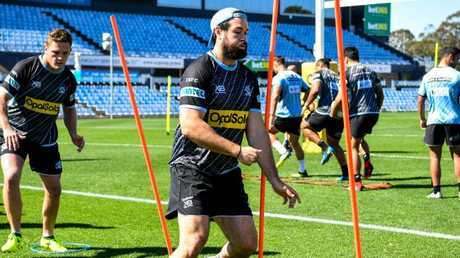 FOR the first time in about five years Aaron Woods says he is playing without off-field distractions. Much has changed for Woods since he last featured in a finals series - his debut season in 2011. On a personal note Woods has gone on to represent NSW and Australia as well as captaining the Tigers. But his own success was not mirrored by team results. 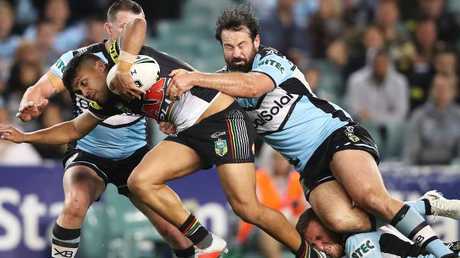 He left the Tigers last season without playing another finals game while an ill-fated stint at Canterbury lasted just 14 games before joining the Sharks midway through this year. "Normally I'm booking holidays now and travelling," Woods said. "To be part of (finals) is awesome. "It's been pretty cool (playing without off-field distractions). The first time in about five years. The biggest factor we've been winning games. When you win there aren't too many people who talk bad about you. "At the Dogs they were in drama. They lost Moses and they said to us if we stay they could be in a spot of bother for three or four years and if I get an opportunity they weren't going to stand in my way. 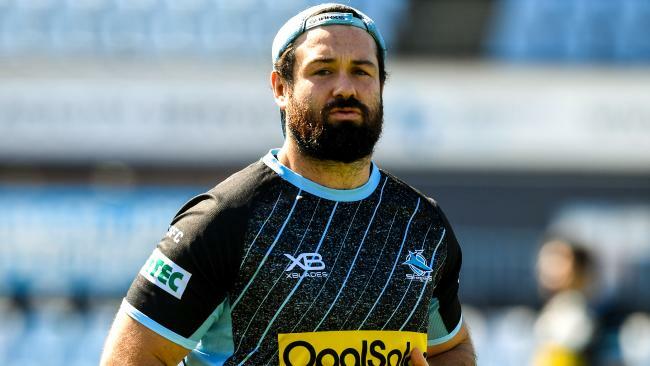 Woods has loomed as the buy of the season with question marks surrounding skipper Paul Gallen's fitness and a season-ending knee injury to Wade Graham. The World Cup winner is yet to start in any of his 11 matches for his new club but could be again upon against the Storm on Friday night. "People ask me if I like coming off the bench but I don't really care," Woods said. "I'm just happy to be playing some good footy in a side that's going really well. "I've been playing some good minutes. We don't know if Gal is playing. Once we know I'll find out my role then. "At the Dogs we were trying too hard. Throwing too many passes. I wanted to straighten up and worry about getting quick play the balls and not try and do too much. More focused on my own jobs. "(Coach Shane Flanagan has) simplified my job. I just have to worry about a couple of things."